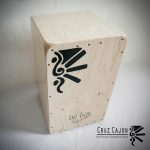 Cajon is a very young instrument in modern music, but it has a rich history. It originates from Peru, when African Slaves started playing on the fishing boxes, using it for musical means and from there, the cajon spread like wildfire all accross the South Americas. When Paco de Lucia (world class flamenco maestro from Spain) received the instrument when he was on tour in Peru, he took it back with him to Spain and introduced it into his musical proposal, leaving it in Rubem Dantas’ hands. 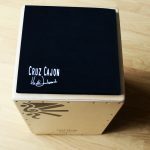 It is known that since around 1980 the cajon is adopted into the flamenco music, and from there, it became popular (and presently is still developing) in modern and contemporary music as well as jazz and various forms of world musics and fusions.